The parade is Saturday morning, Sep. 11. All are welcome to come walk with us. 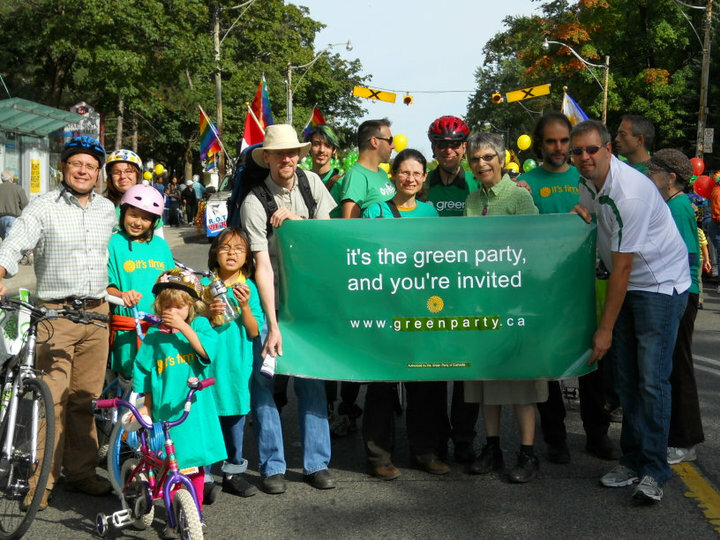 Meet on Parliament, between Howard (1 s. of Bloor) & Wellesley, in Section C (look for the sign/ask a marshall), 9:15/9:30 a.m. If you wish, you can pedal your bicycle in the parade. We’ll have a booth in front of #548 Parliament Street, Saturday & Sunday afternoons, Sep. 11 & 12. 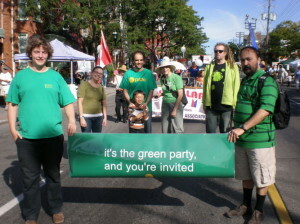 Come early for your own personalized made-while-you-wait Green Party button. We’ll have Green Party info to share. There’ll be plenty of time for good conversation. Memberships will be available: $10/year, $25 for 3 years. We’re eager to meet you and learn what’s on your mind.